April is starting off with snow here in Calgary; however, that hasn’t put too much of dent in our community garden project…yet. Lettuce sprouts poking through the soil. 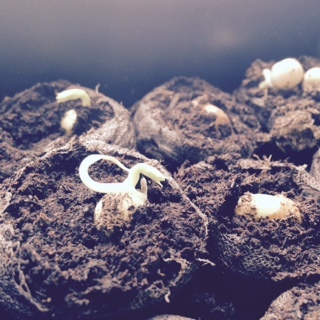 The start of our pea plants. Bean sprouts ready for new pots. More sprouts ready for new homes. 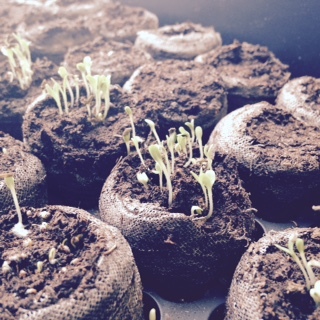 seeds in their peat pods before tiny green sprouts starting poking through the soil. The lettuce seeds were the first to come through, but it wasn’t long before the others caught up. Beans and peas also quickly shot up from the soil. It wasn’t long before we required new pots for the sprouts. 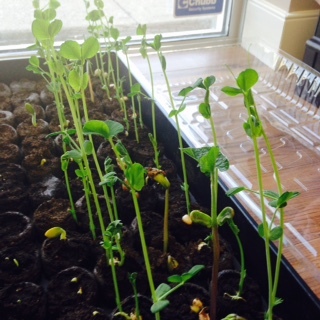 We successfully transplanted the peas and beans to larger pots. 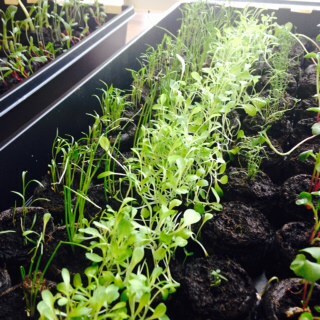 Now we just need the snow to let up so we can get these little seedlings outside. Ever wondered about how seeds germinate to become a plant? Check out the explanation on Curiosity Science.